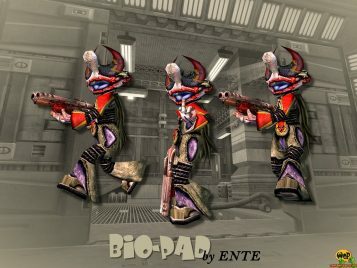 BiO-Pad appears a little ill and infected with some epidemic plaque but he kept his smile for some reason. But maybe like every zombie he is looking forward to get a little too close, so try to keep some distance. 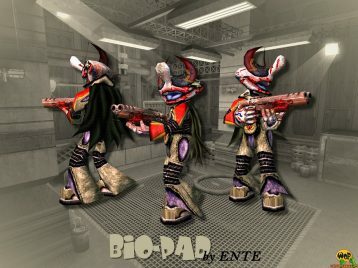 BiO-Pad is an alternative skin for Padman created by ENTE himself and needs the player model Padman for Quake 3 Arena installed before.